Lawyers are like doctors in the sense that lawyers generally focus on specific areas of the law, just like doctors typically specialize in a specific area of medicine. After all, you would not consult with a dermatologist if you had cancer or were pregnant so why would you consult with a criminal defense attorney if you were injured in an accident or needed to update your estate plan? 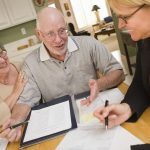 While it may be easy to recognize when you need a criminal law, personal injury, or family law attorney, it can be less obvious when the need for an elder law attorney arises given the fact that elder law is a relatively new area of the law. 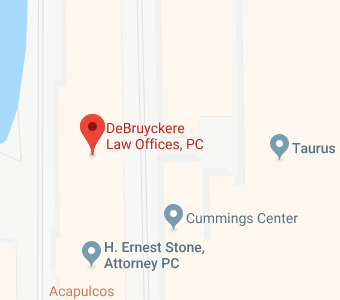 To help ensure that you get the advice and guidance you need, a Beverly elder law attorney at DeBruyckere Law Offices points to several common reasons why you might want to consult with an elder law attorney. 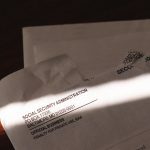 While seniors face many of the same legal issues as their younger counterparts, they also encounter unique legal issues related to their age. As the population of older Americans began to increase dramatically during the latter half of the 20th century, the need for attorneys that focused on their legal issues increased as well. Consequently, the National Academy of Elder Law Attorneys, or NAELA, was formed in the late 1980s as a way to better serve the growing segment of the population made up of older Americans. Five years after the creation of NAELA, the National Elder Law Foundation was formed. The purpose of the non-profit NELF was to help improve the professional skills of attorneys who choose to focus on elder law. Toward that end, NELF then developed a national certification program for attorneys known as the Certified Elder Law Attorney, or CELA, certification program. Attorneys who wish to gain certification in the area of elder law may do so through a rigorous and selective certification program recognized by the American Bar Association and administered by NELF. CELA certification indicates that an attorney has chosen to focus on elder law issues. 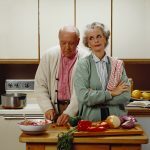 What Are Those Elder Law Issues? Medicaid planning – the high cost of long-term care (LTC) often results in the need to rely on Medicaid to help pay for that care. Qualifying for Medicaid, however, can put your assets at risk if you failed to plan ahead by incorporating Medicaid planning into your estate plan. An elder law attorney can help you create a Medicaid plan or assist with last minute Medicaid planning strategies if you did fail to plan ahead. 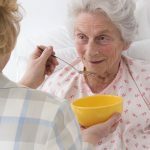 Nursing home abuse – if you believe an elderly loved one is the victim of elder abuse or neglect, an elder law attorney can help you to understand your legal options which may include filing a civil lawsuit against the facility. 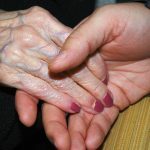 Guardianship/conservatorship – if you are concerned that an elderly loved one can no longer safely care for himself/herself and/or manage his/her finances, it may be time to consider petitioning for guardianship/conservatorship. 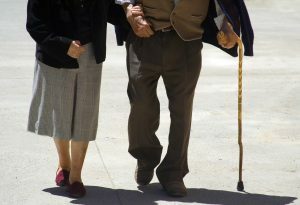 An elder law attorney can help you make the difficult decision to become a guardian/conservator. Incapacity planning – as a senior, you should incorporate an incapacity planning component into your estate plan to ensure that your wishes will be honored if you reach a point at which you are unable to express those wishes because of Alzheimer’s or another incapacitating condition. For more information, please join us for one of our upcoming FREE seminars. If you have additional questions about the need to consult with an elder law attorney, contact a Beverly elder law attorney at DeBruyckere Law Offices by calling (603) 894-4141 or (978) 969-0331 to schedule an appointment.